It’s a Wednesday afternoon and I’m sitting in a meeting with a colleague. He’s telling me about the complex technology used by one of our new clients. Something about data stacks. I’m nodding along but there are tears running down my cheeks, dropping silently on to my notebook. I’d got my period that morning. And that time, I’d fallen hook, line, and sinker for the dream. At a week late, I had thought I was finally pregnant. I’d even noticed some of the early symptoms everyone talks about. The PSA, working collectively with our colleagues through Unions NSW, is claiming a great win for fairness following the recent publication of a NSW Government Determination on the rights of Employees in relation to altruistic surrogacy and permanent out-of-home care arrangements. The Determination gives surrogate parents access to the same rights as other parents in relation to leave entitlements following the birth of their child. This formal extension of that entitlement follows years of advocacy by the PSA on a case-by-case basis for parents undertaking altruistic surrogacy arrangements and ensures that in future, no parent has to argue that their family is equal to others. The Central Administrative Tribunal has come to the aid of a woman, working in the Ministry of Law & Justice, who was denied maternity leave as she had begotten her children through surrogacy. The Tribunal directed the Ministry to sanction 180 days of maternity leave to the woman citing three high court’s verdicts which have held that the commissioning mother is also entitled for grant of maternity leave. The woman is working as a Personal Assistant in the Legislative Department, Official Language Wing of Ministry of Law & Justice. 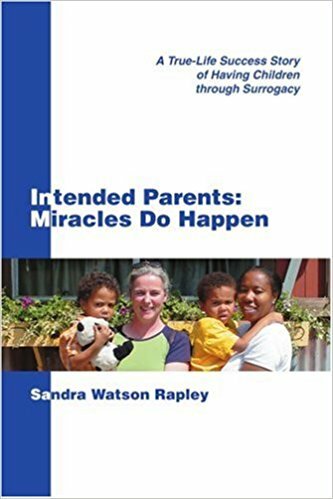 As she was unable to conceive due to medical issues, she entered into Gestational Surrogacy Agreement with another woman.